OPPO announced last month it will release a smartphone this year with 10X lossless zoom, and the company has now announced a new smartphone brand launching next month that’ll carry this tech. OPPO took to Chinese social network Weibo to announce a phone brand called “Reno.” In a separate post, OPPO VP Shen Yiren shared the following specifications: a Qualcomm Snapdragon 855, 10X zoom and a 4,065 mAh battery. The vibrant colors and lettering of the logo suggest a youth-oriented brand, but the elaborate camera mechanism needed to facilitate 10X optical zoom on a smartphone and the top-shelf specifications suggest it may be an expensive device. There is no word on whether it will have 5G capability (which would make the phone still more expensive). We also don’t know whether the phone will have a waterdrop notch like the OPPO R17, a slider mechanism like the OPPO Find X or a pop-up selfie camera like the OPPO F11 Pro, though I’m inclined to believe it will have the last one. The display type and resolution are unknown, and it is unclear whether the fingerprint sensor will be on the back or under the display. We do have a launch date of April 10, however, according to the first Weibo post. OPPO’s Global PR is teasing the smartphone on Twitter, so it’s possible we’ll see the phone launch outside of China. 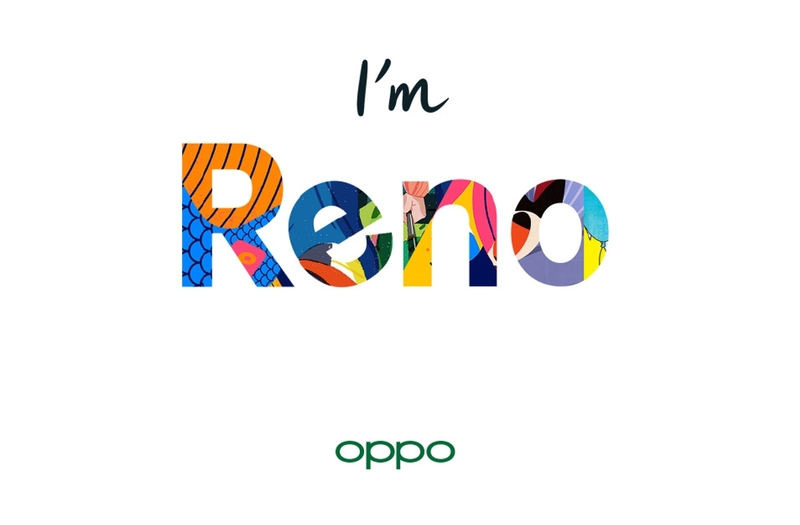 We’ll no doubt know more about this Reno phone in short order since the launch is only a month away. In the meantime, I highly recommend reading more about the technology OPPO developed to make it possible for a smartphone camera to have 10X optical zoom. My colleague Aamir Siddiqui did an excellent job of describing how it works.